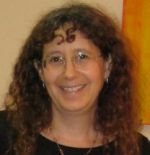 Dafnah Strauss teaches American History at Tel Aviv University, Israel and is an associate editor at the Israel Antiquities Authority. Her Ph. D. in history is from Haifa University, Israel, while her undergraduate degree in Archaeology and her master’s degree in American Studies are from the Hebrew University, Jerusalem. Her dissertation, “Between Partisanship and Independence: American Editor-Politicians and Independent-Partisan Newspapers, 1870–1910,” focused on the political and occupational rhetoric of Gilded-Age editor-politicians in the Midwest. Prior to teaching, she worked for three years as an executive assistant and researcher at one of the leading civil-rights NGO’s in Israel—The Israel Religious Action Center, which advocates for a pluralist government policy on religious issues, as well as for civil equality for religious and ethnic minorities.